When you’re at a bar, you shouldn’t hide in the corner! Starting a conversation can lead to new friends, a great date and so much more. Don’t know where to begin? These conversation starters will make everything fun when hanging out at the bar. 1. Hey! You know what? What can be better than grabbing someone’s attention? Peak one’s curiosity! It’s a great way to add suspense to everything you’re going to say after that. This simple line is an open-ended question, which is perfect for leading the way into what you can say next. 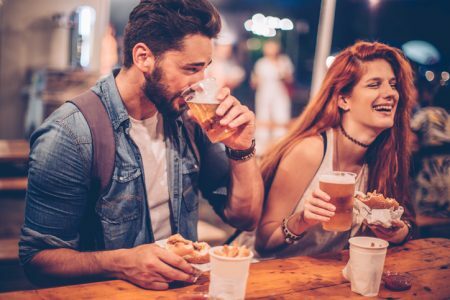 Besides, even if you don’t have anything else to say after the first phrase, having a 20-second conversation with a person at a bar makes it easy to go over and talk to that person again later. 2. Hey, can you give me some advice on…? This is a great conversation starter with the opposite gender if you’re new to this game and just trying to build your confidence. There is nothing sexual in this line but it is a great opportunity to start a conversation without looking creepy or weird. This is just one of many indirect openers and it makes the other person feel like their opinion matters and you’re ready to listen to them. 3. Have you tried this drink yet? With this line, you’re just being ‘cool’ and appearing to be friendly, confident, and social. There is nothing in this phrase that can cause negative reactions; even better, you’re providing an opportunity for someone else to continue a conversation by asking their advice. As long as you say this in a friendly manner, most people will be happy to open a conversation. 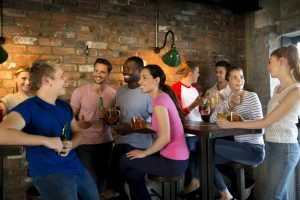 Likewise, some people at a bar can also feel unsure of themselves when approached by a stranger, so if you’re saying it in a relaxed, confident way, they will begin to open up as well. 4. That drink looks cool, what is it? 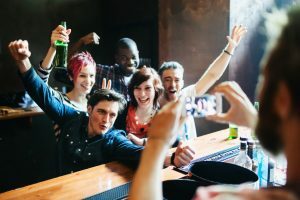 When you’re at a bar, there’s usually a lot going on around you and you can always comment on the drink to start a conversation. 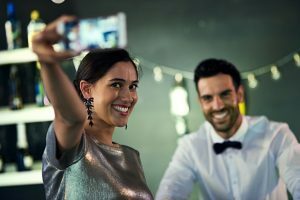 You will find many people with cocktails and this simple, yet playful phrase is a great way to show that you’re a friendly person who wants to have fun with people. Particularly at a bar, when you can tease someone, it really makes you stand out from the crowd. Keep in mind that starting and keeping the conversation going isn’t rocket science, so keep it fun and simple. Usually, a question with an open answer is the best conversation starter; drawing people to you out of inquisitiveness. Present yourself with confidence and a friendly smile and you will appear as a playful and fun person. These are suggestions that are guaranteed to work when you want to approach someone and start a conversation at a bar. Feel free to play around with these lines and your own openers will naturally appear. Now, you’re prepared and can impress people with your confidence. Good luck!